My mom donated $100 to the documentary the other day. $50 of that was from her neighbor, LaVon. A couple days later, I got this awesome card in the mail. I bawled like a baby when I read it. 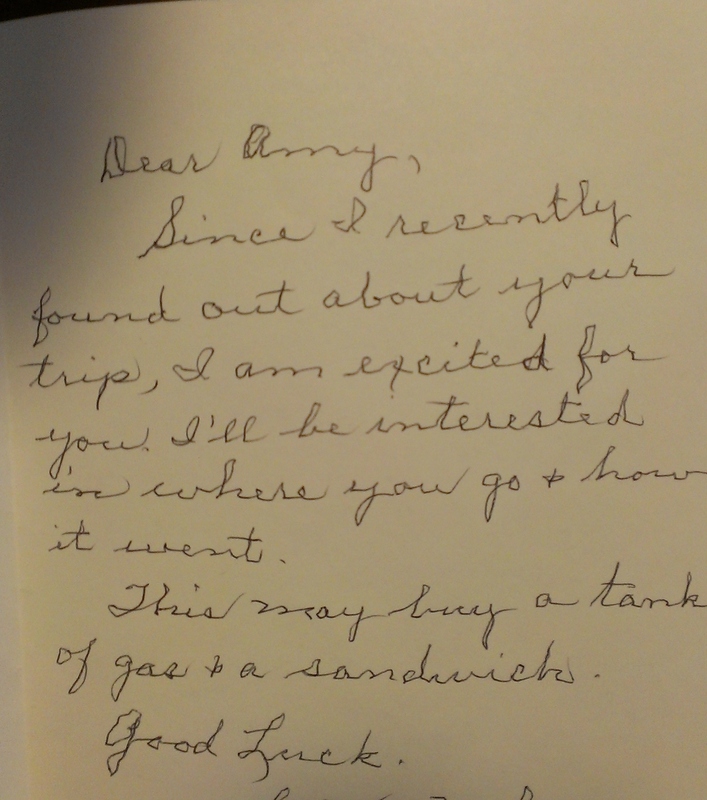 A future donor donated (again) today, and her comment for her donation was “For a tank of gas and a sandwich,” because she had seen the card when I posted it on Facebook. So, it’s been kind of a motto the past few days. LaVon is 82. She took the time to send this to me. I hope you enjoy it as much as I did!